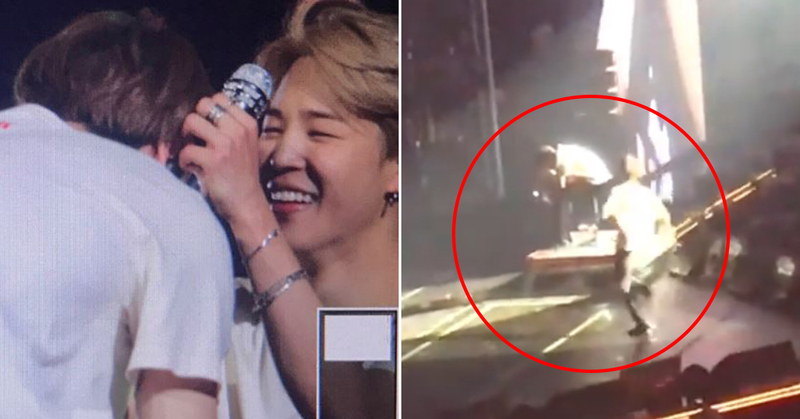 The heartwarming sight of BTS' Jimin sprinting to Jungkook who was crying, is melting ARMY's hearts! On October 9, BTS' London concert, which was the first show of the group's LOVE YOURSELF tour in Europe, was held at the city's O2 Arena. On this day, Jungkook had to perform most of the stages on a chair, as his heel was injured by crashing into a furniture in the waiting room during a rehearsal taken right before the show. Throughout the concert, Jungkook participated as if nothing happened. But when he was saying his ending comment, he became emotional; "Thank you for making us really happy on the stage. Going through today's incident, I promise that I will never let this happen again." Fans started shouting "It's okay", and Jungkook eventually burst into tears. When the show's encore performance started with Anpanman, the touching scene took place. 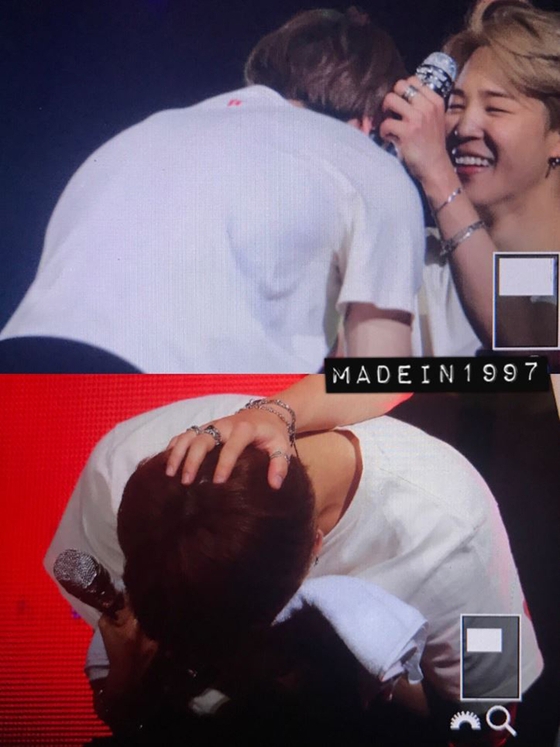 Jimin, who was standing at the opposite side of the stage, ran towards Jungkook as soon as he noticed that he's crying, and began to comfort him. Jimin squatted down next to Jungkook and tried to cheer him up by looking closely into his face, patting his head, and turning his chair around. 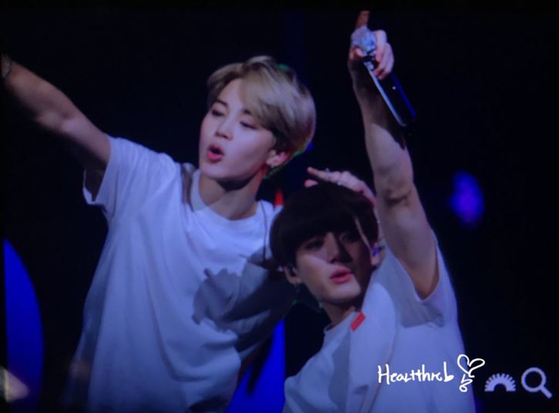 Fans who were deeply moved at this moment, wrote comments such as, "Jungkook is so lucky to have such a caring member", "The friendship between the boys is so precious", "I can feel how much Jimin cherishes Jungkook".